The Cass family has a rich history within the art world, dating back many years. Alongside Mark Cass, the CEO and Founder of Cass Art, there’s Jeanette and Wilfred Cass, the founders of the Cass Sculpture Foundation, and Paul Cassirer, an important promoter of Impressionism in the 1920s. Eric and Jean Cass are avid art collectors who seek pleasure in sharing the beauty of creativity with the nation. From their personal collection, they have donated a selection of fourteen Niki de Saint-Phalle works to Gallery of Modern Art, Glasgow through the Contemporary Art Society. Sainte-Phalle’s pieces cover all manner of painting, ceramics and sculpture. Her style is unmistakeably bold, bright and…well, beautiful. Some of the works kindly donated by Eric and Jean Cass include smaller sculpture pieces and ceramic furniture, sharing the sharp contrast from her large scale pieces. This isn’t the first time that Saint-Phalle and Scotland have crossed paths. 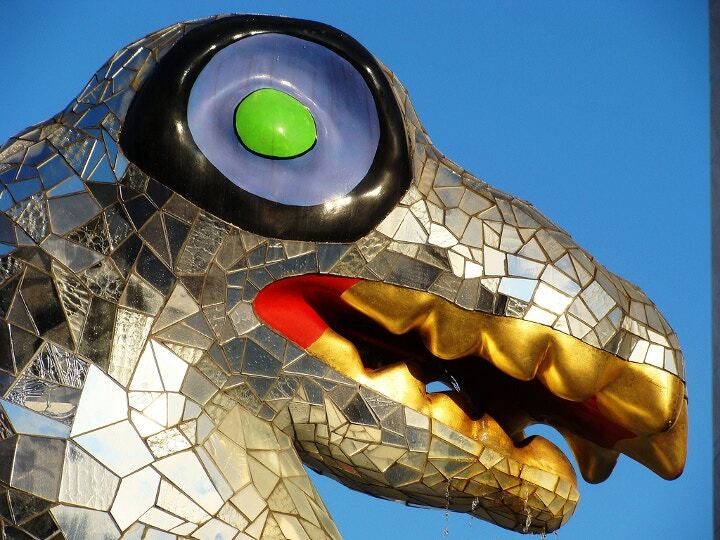 Her interpretation of the Loch Ness Monster (or Monstre du Loch Ness if you prefer) stands in all its mirrored mosaic glory in the centre of Nice, France. As well as the fourteen Saint-Phalles, a collection of letters, notes and drawings from the artist are on display which gives a more intimate glimpse into her fascinating life. This is surely one of the most important philanthropic giftings in the history of the Contemporary Art Society, which will benefit public collections across the UK for generations to come. Why not brighten up a dreary winter’s day with a trip to the Gallery of Modern Art, Glasgow to see the collection of Niki de Saint-Phaille gifted by Eric and Jean Cass? And while you’re at it take a quick visit to our newly opened Cass Art store on Queen Street, only minutes down the road.